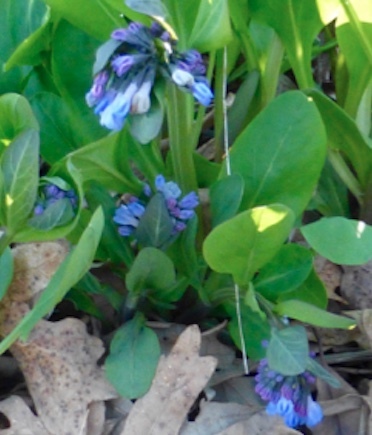 Pierce Downer's Heritage Alliance is supporting Founders Day this year and celebrating spring with guided a Wilderness & Wildflower Walk in Lyman Woods on Saturday, April 27. Volunteer Naturalist Lance Herning will lead a group of hikers departing at 1:00 PM from the Interpretive Center. The group will be limited to about 18 participants and should expect to spend about 2 hours exploring the woods and fields of this high quality nature preserve. After our recent uncertain weather, the trails may still be muddy in spots so that participants need to dress appropriately. After the walk we will provide refreshments and opportunities for conversation. You can register now to take part in this special exploration of Lyman Woods. Space is limited. Please reserve your place and make a suggested $10 donation to support educational activities of Pierce Downer's Heritage Alliance. 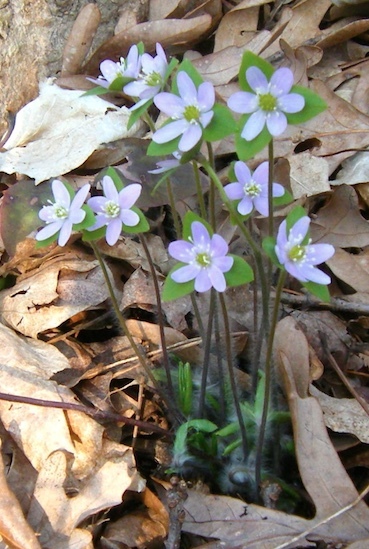 Wilderness & Wildflower Walk in Lyman Woods. The Village's historic preservation program was revised in 2015, contributing to an increased interest in landmarking homes and other structures. Since then twenty-three buildings have been er nine in 2017, four more in 2018 and one in 2019. 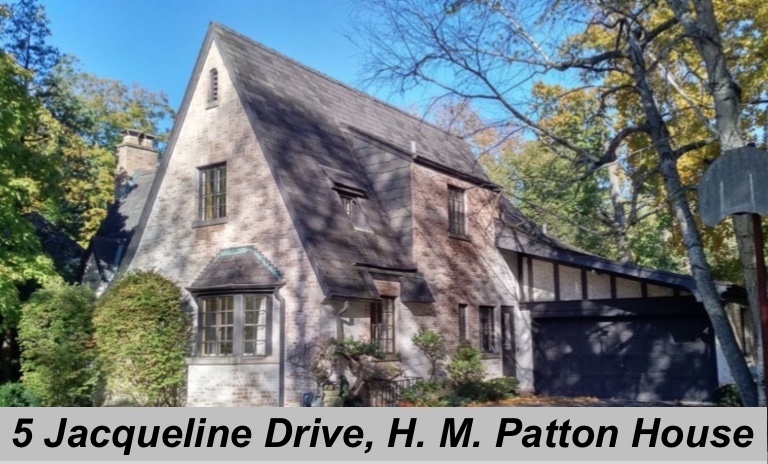 The Village Council unanimously approved landmark status on February 5, 2019 for the H. M. Patton House, 5 Jacqueline Drive at the request of Judith M. Erickson. Please click here to learn about this English Country Revival home that was built circa 1927. 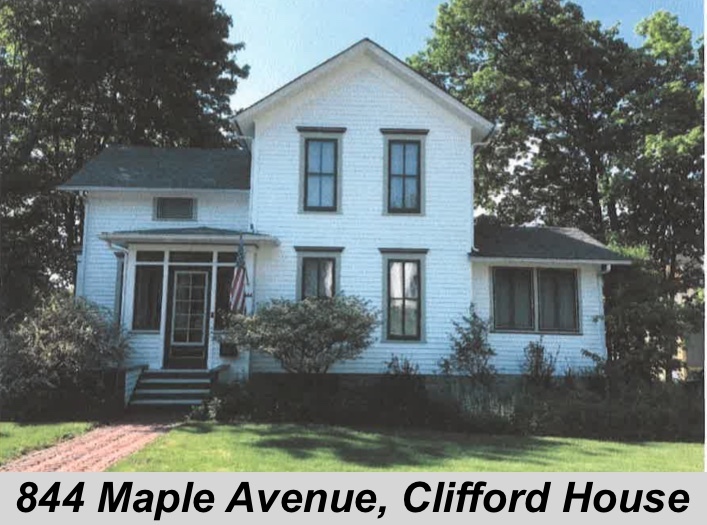 The Village Council unanimously approved landmark status on August 21, 2018 for the Clifford House, 844 Maple Avenue at the request of Selma Moberg. Please click here to learn about this Gable-Front & Gable-Ell home that was built circa 1876. 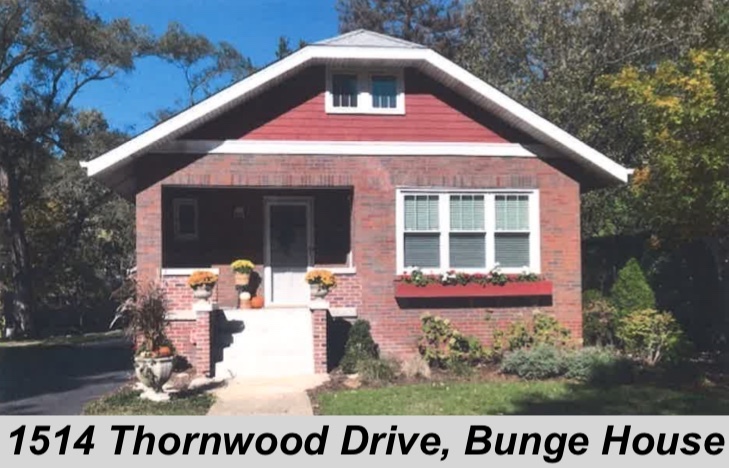 The Village Council unanimously approved landmark status for the Ernest E. Bunge House at 1514 Thornwood Drive on July 17 at the request of Jaunita and Pamala Shaw. Please click here to learn about this Craftsman Bungalow that was built circa 1927. 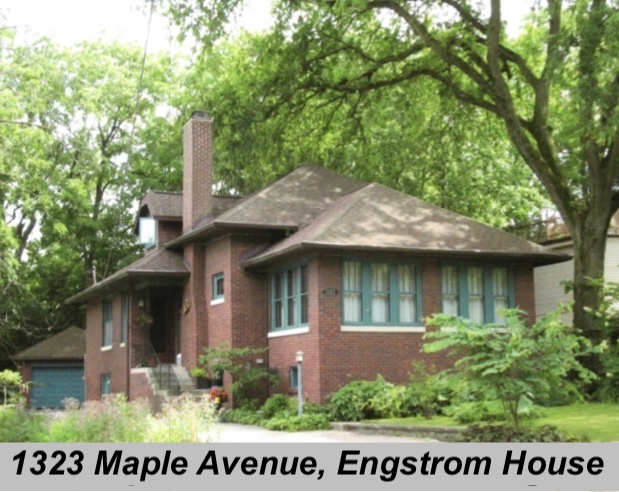 The Village Council unanimously approved landmark status for the Engstrom House at 1323 Maple Avenue on May 15 at the request of David and Carol Miller. Please click here to learn about the Engstrom House that was built circa 1924. 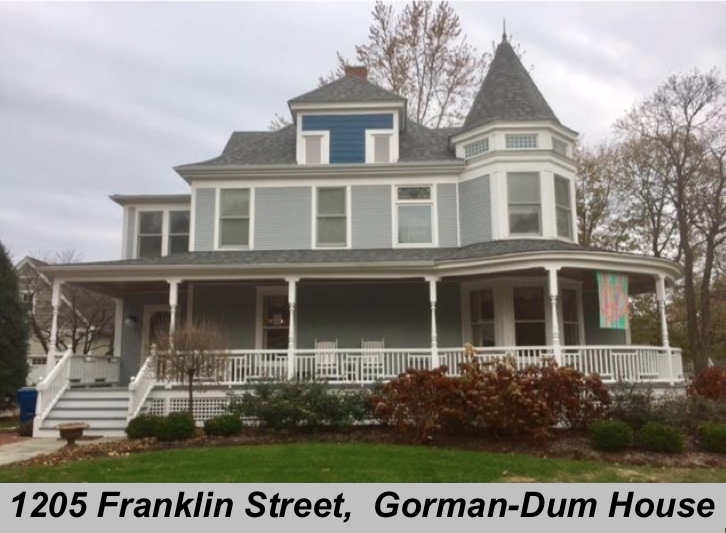 The Village Council unanimously approved landmark status on March 13, 2018 for the Gorman-Dum House, 1205 Franklin Street at the request of Kenneth and Kay Hammer. Please click here to learn about this Queen Anne home that was built circa 1895. 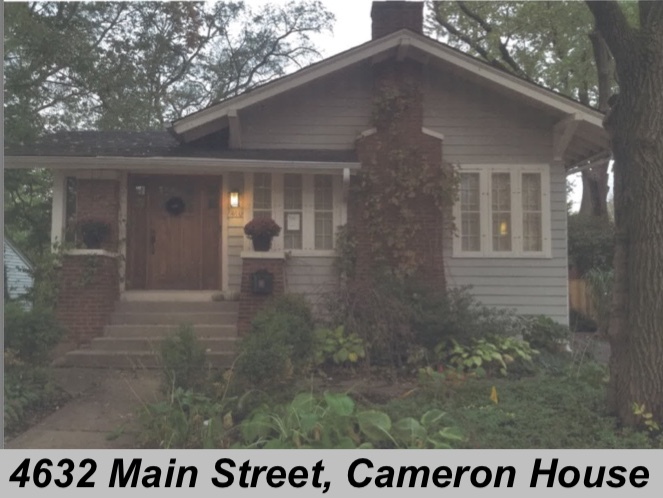 The Village Council unanimously approved lan dmark status for the Cameron House, 4632 Main Street on December 12, 2017 at the request of Brian and Karen Beechler. Please click here to learn about this Craftsman Bungalow home that was built circa 1922. 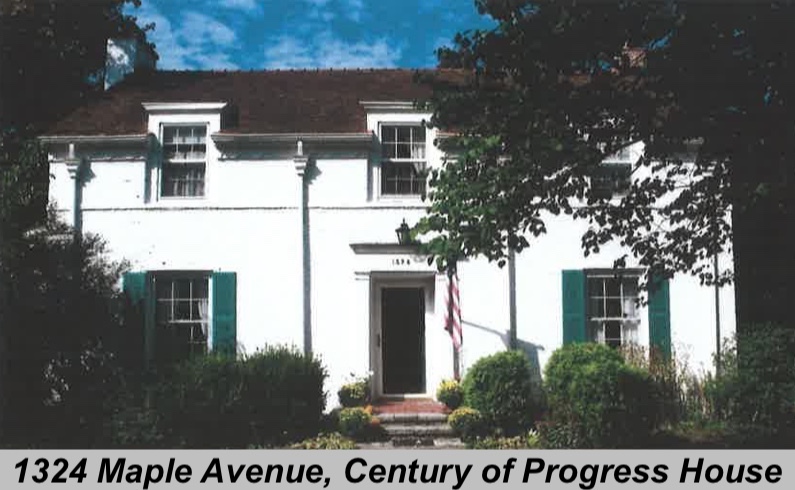 Also on December 12 the Village Council approved unanimously landmark status for the Century of Progress House built in 1936 at 1324 Maple Avenue. Please click here to read information provided by David and Joan Kresl about their Georgian style home. Please click here to read about the presentation to Friends Of The Edwards House of the 2017 Richard H. Driehaus Foundation Preservation Award for Advocacy. Please click here for a complete listing of the 25 buildings that have been granted local landmark status in Downers Grove. 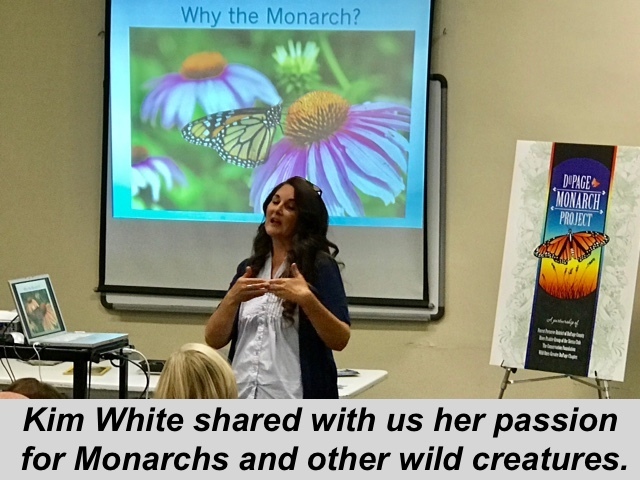 PDHA sponsored a free public presentation entitled Mysteries of the Monarch on October 19, 2017. Ken Lerner, PDHA Chair, welcomed everyone and gave a brief description of our organization and its activities before he introduced our speaker. 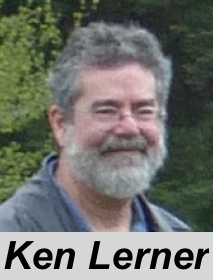 You can click here to see Ken's slide presentation. Our speaker was Kim White, who participates in the DuPage Monarch Project and writes The Natural Naturalist blog. Kim told us about the marvelous life cycle of Monarch Butterflies and about the DuPage Monarch Project's work to provide improved habitats for these extraordinary creatures throughout DuPage County. Kim has volunteered as a docent at Brookfield Zoo for 10 years, followed by 10 years as an employee in their Education Department teaching school groups. Later she worked as a tour guide for a pilgrimage company, taking people to Israel, Egypt, and Europe. After taking 4 years off to care for her beloved in-laws, she is now back to learning and teaching about the natural wonders of the world that can be found in our own backyards. Many organizations and individuals joined forces to honor Betty M. Cheever and Wallace H. (Wally) Brown with tribute benches in Lyman Woods Preserve. A celebration of Betty Cheever's and Wally Brown's community leadership took place on Sunday, May 21, 2017 at the Lyman Woods Interpretative Center. Please click here to learn more about this event and the tribute benches honoring Wally Brown and Betty Cheever. Pierce Downer's Heritage Alliance is dedicated to preserving the natural and cultural heritage of Downers Grove. 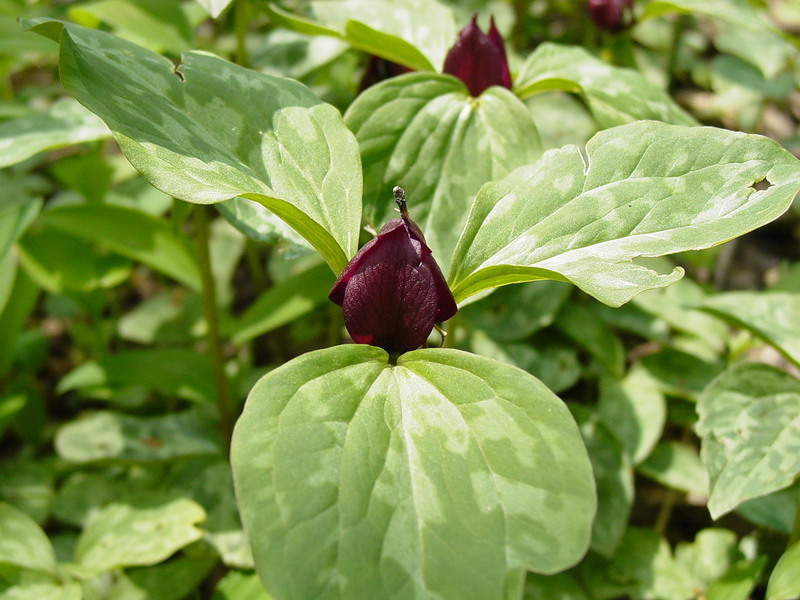 In the past, we have maintained sharp focus on the natural heritage within our community. Pierce Downer's Heritage Alliance has been instrumental in the preservation and protection of Lyman Woods, and Belmont Prairie, which continue as on-going projects. We are now also committed to the preservation of cultural aspects of Downers Grove, including its rich architectural heritage. We work to accomplish our mission through education as well as community outreach. Can you find this house in Downers Grove and why is it important? Click here to request more information about Pierce Downer's Heritage Alliance. from our 2016 Annual Meeting. from our 2015 Annual Meeting. Click here to learn about beekeeping in Lyman Woods. 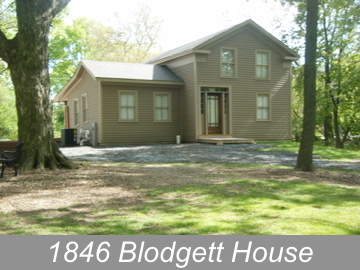 An opportunity exists to restore the 1846 Blodgett House, one of the Village's oldest houses reflecting our rich cultural heritage. PDHA supports such efforts to preserve valuable historic resources for future generations. Click here to learn more about other local historic preservation activities in Downers Grove. AVA E-Recycling is continuing again this year its electronics recycling program in cooperation with Downers Grove Township Highway Department. Audio or video cassettes, as well as CD’s, are no longer accepted and all TV’s need to have a prepaid coupon from AVA. Please click here to learn more about the rules for recycling TV's. The next event is scheduled for March 19, and runs from 8 AM to 12 PM at the Highway Garage, 318 Quincy Street, Westmont IL 60559. Other events will follow on the third Saturday of each month at the same time and location, unless that date falls on a holiday weekend. As always the events close promptly at noon and electronics can only be dropped off on event dates. Drop offs outside of designated hours are not allowed. For further information, please call Downers Grove Township Highway Department at (630) 719-6625.